WOULD YOU MAKE THE SAME CALL? As far as time machines go, a magic telephone is pretty useless. TV writer Georgie McCool can't actually visit the past -- all she can do is call it, and hope it picks up. And hope "he" picks up. Because once Georgie realizes she has a magic phone that calls into the past, all she wants to do is make things right with her husband, Neal. Does Georgie "want" to start over? From Rainbow Rowell, the "New York Times" bestselling author of "Eleanor & Park" and" Fangirl," comes this heart-wrenching - and hilarious - take on fate, time, television and true love. "Landline "asks if two people are ever truly on the same path, or whether love just means finding someone who will keep meeting you halfway, no matter where you end up. 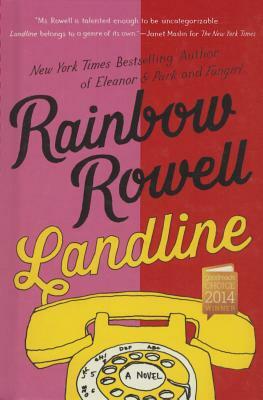 RAINBOW ROWELL lives in Omaha, Nebraska, with her husband and two sons. She's also the author of "Fangirl," "Eleanor & Park," and "Attachments."